You’re still thinking about the email your principal sent early this morning. Before you’d even had a sip of your coffee. Before you’d even positioned the Pikes Place K-cup in its holder. Before your Keurig had even warmed up. “I want you to hire the PERFECT speaker for our next school assembly,” she had said in a bold-faced, 18-point font. It’s now two hours and three K-cups later, and you’re wondering what to do next. After all, the reputation of your administration, your school, and yourself are on the line. And so is your school’s moolah. On the one hand, you don’t want to end up who promising a great speaker for this year’s Red-Ribbon Week assembly but inadvertently book someone better suited for your niece’s 3rd birthday party. On the other hand, while you know great speakers often charge thousands of dollars for an event, you still want to honor your principal’s request and be smart with the budget you’ve got. Rock. Hard place. You in the middle. With more than ten years experience helping schools and organizations book some of the highest-rated youth speakers in the country, I know that finding “just the right speaker at just the right price (and FAST! )” can feel like an impossible task. But my experience has also taught me there are at least 3-5 speakers who will fit your event goals AND your budget, every time. And I want to show you exactly how to find them. You see, there’s really just THREE THINGS YOU NEED TO KNOW to hiring youth speakers without breaking your budget. 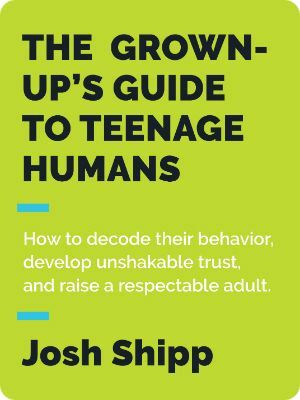 And once you understand these four factors, you’ll be able to boost everyone’s reputation (including your own) AND have plenty of money left over for prom/senior trip/a-new-Keurig-in-the-teachers-lounge. 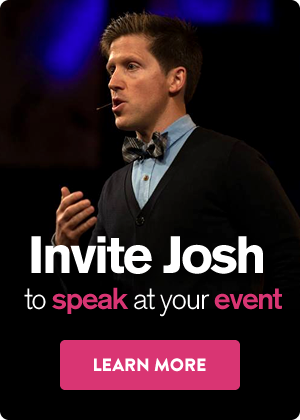 If you’re considering one of those speakers offering to talk about “anything you want”, you’re headed for trouble. Do you speak on bullying? YES! Generalists might be entertaining, but they’re rarely able to provide practical, helpful advice that addresses your specific issue. And while you want your audience to have a great time at the assembly, you also want them to walk with information that improves their lives. For example, if you want to address the bullying problem at your school then you want a speaker known for their expertise on the subject. Someone who’s done their research, worked with other experts, and developed practical solutions your audience can go out and use immediately. So instead of just Googling “speaker”, get more specific. Niche down your search and you’ll have a better chance of landing someone solid. Yes, you want a speaker who will crush it on stage. That’s a given. But if that person handles themselves unprofessionally – i.e., they’re unreliable, take forever to respond to back to your email, are unwilling to accommodate to your time constraints, etc. – get ready for one long headache. What you really need (and what your audience deserves) is a fantastic communicator who’s also easy to work with. But how do you root out the divas from the class-acts? First, a great speaker’s marketing content (website, emails, Facebook pages, etc.) will be oriented around their audience and their topic, not themselves. It will be clear from their content that the students or staff or parents are the heroes in the story, and they are just the trusted guide offering expertise and support. Second, solid endorsements from previous audience members can help you identify a speaker that will go the distance. On their website, look for video and written testimonials from both students AND staff who have experience hiring youth speakers. Reach out to a speaker’s previous clients and get the behind-the-scenes scoop on what it was like to work with them. Were they considerate? Timely with their replies? Did they deliver what they said they would? Third, make sure you can watch a video sample of that speaker in action – preferably in front of an audience like yours. The video should include segments of the speaker addressing the specific topic you’ll be hiring them to speak on. Keep in mind that if the video has lots of flashy production but leaves you wondering about the point the speaker was trying to make, keep looking. Last but not least, trust your instincts: how do you FEEL about the speaker you’re looking to hire? Are they friendly? Respectful? Do you think you can trust them? Do you enjoy your interactions with them? Do you think your audience would feel comfortable with them? Obviously feelings can sometimes cloud our judgment. (Remember how badly you wanted that N’ Sync Christmas album years ago?). And feelings are hard to measure – how much do you have to like a speaker before hiring them? Nevertheless, paying attention to your felt experience of the person you’re looking to hire will better your odds for a winning choice. You like your principal so you’re going to stick to your budget. But you’re well aware that quality comes with a cost. So if you stumble upon a speaker who seems great but is willing to work for free, take a hard look at WHY they’re willing to work for free. Often, it’s because they lack experience onstage and/or have little knowledge of the topic you want them to speak on. It’s true that in some cases great speakers will negotiate a lower-than-normal fee in exchange for the opportunity to film their presentation or work with additional schools in your area or some other benefit. That’s fine. A solid speaker can help you get creative about how to get them to your school, on budget. But speakers without a clear motivation for reduced fees should be avoided. Otherwise, you may end up hiring a headache. At the end of the day, it’s your reputation on the line. You are the one who’s been tasked with finding “the perfect speaker”. So it’s YOU that needs to feel confident about who you’re bringing in. As I mentioned earlier, I’ve spent more than ten years helping schools and organizations book some of the best speakers in the world. During that time, I’ve also scoured the globe looking for greatness, watched countless speaker presentations, and talked with hundreds of event planners just like you in order to identify the top 1% of speakers serving the youth market today. The speakers I found not only meet all three of the qualifications listed above, they are class acts, a breeze to work with, and absolutely rock the stage. Each one is considered an expert in his or her field, covering topics from bullying to resilience to leadership and beyond. They have cumulatively spoken to MILLIONS of students. Best of all, they love what they do and always go the extra mile for their clients. 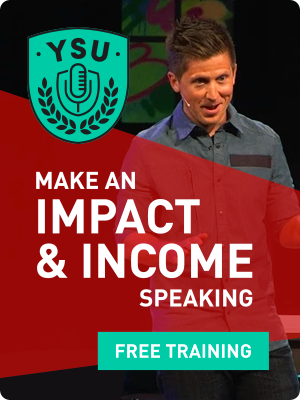 I helped build this incredible roster of top youth speakers because I wanted to make finding and hiring youth speakers as simple and painless as possible. 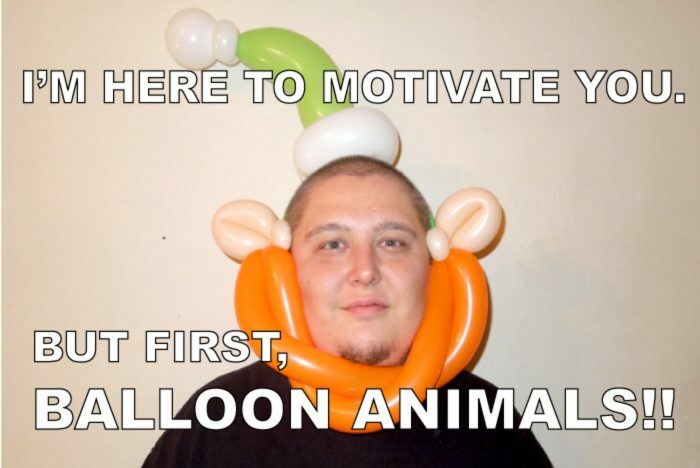 To accomplish that, we’ve done all the research for you. We’ve done all the vetting to ensure the highest quality of presentation for your audience. We’ve even taken the reigns in managing the speaker’s bookings from start to finish. That means you’ve got someone you can trust, walking you step-by-step the whole way. Not only that, but you’ll never see an extra fee for our services. The speaker is the one who pays us, not you, thus simplifying the process further. What if you didn’t have to do all the research, manage all the details of booking and logistics, or wonder whether your selection was going to be the best fit for your audience? What if all you had to do was send one little email instead? It really IS that easy because my team and I have already done the heavy lifting for you. So if you’re looking to wow your audience, please your boss, and boost your already heroic status, look no further.